There is no more stigma associated with using a pre-paid wireless plan. These days, pre-paid customers get some of the best deals on cellular and data service. And some pre-paid carriers give subscribers the opportunity to purchase high-end handsets. Just the other day, we told you that pre-paid carrier MetroPCS is selling limited quantities of the Apple iPhone 7 and Apple iPhone 7 Plus. Over the weekend (Sunday, to be precise), Verizon added the HD Voice feature to its pre-paid service. When a Verizon pre-paid caller uses a phone with HD Voice enabled and calls another Verizon pre-paid subscriber similarly equipped, he/she will notice a marked improvement in call quality. Instead of sounding like a call that has traveled from one U.S. coast to the other, the voice on the phone will sound like it is coming from the same room. The service also allows users to open a video chat with a single tap of the screen, use WiFi calling and make 6-way calls. The feature will also give Big Red's pre-paid subscribers the opportunity to chat and browse simultaneously. 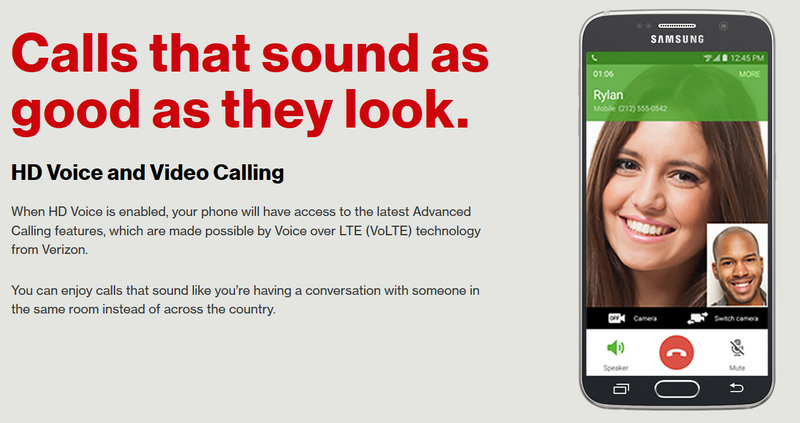 As we said, to use HD Voice Verizon pre-paid subscribers will have to sport a phone that supports the service. To that end, Verizon is adding two dozen newer iPhone and Android models. Many of these will offer HD Voice right out of the box. Too many dropped calls for me using HD voice, sound quality is excellent, but way too many dropped calls. Turned off the feature, and no more dropped calls. HD VOICE on Verizon needs more work. Verizon never again. They can screw off.